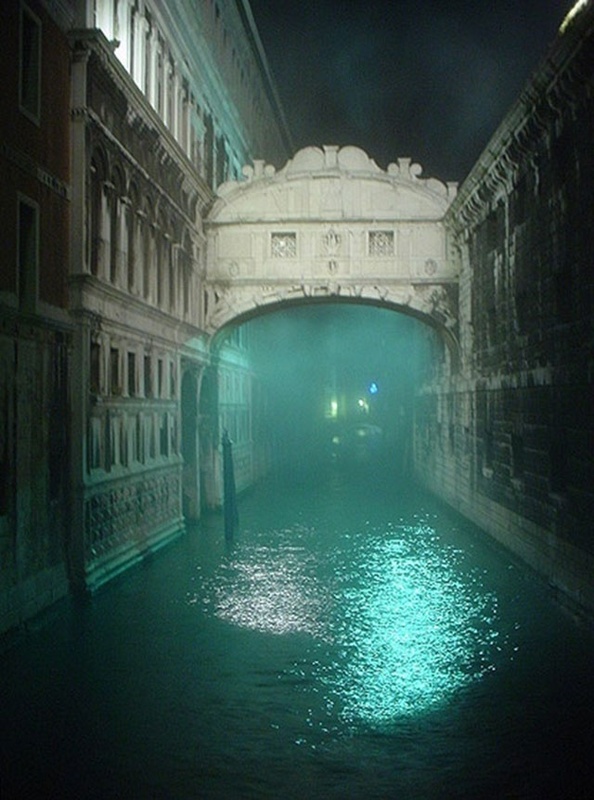 The Bridge of Sighs is a bridge located in Venice, northern Italy. The enclosed bridge is made of white limestone and has windows with stone bars. It passes over the Rio di Palazzo and connects the New Prison to the interrogation rooms in the Doge's Palace. It was designed by Antoni Contino (whose uncle Antonio da Ponte had designed the Rialto Bridge), and was built in 1602.